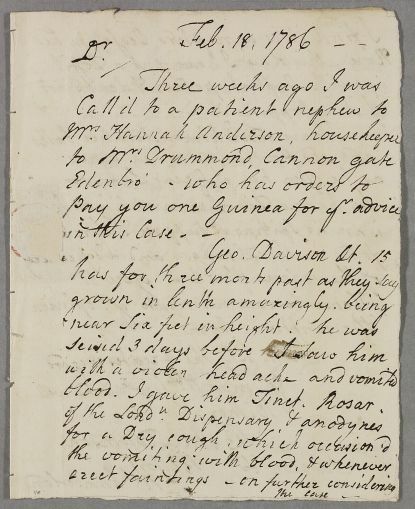 Letter from B. M. Adamson concerning the case of George Davidson, the nephew of Mrs Hannah Anderson, housekeeper to Mr Drummond. Brief mention of Mrs Younghusband (see Case 27). 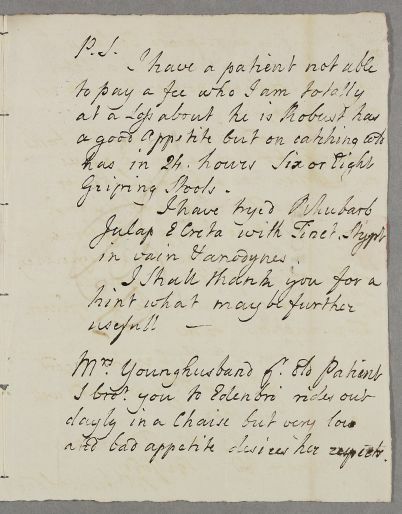 Summary Letter from B. M. Adamson concerning the case of George Davidson, the nephew of Mrs Hannah Anderson, housekeeper to Mr Drummond. Brief mention of Mrs Younghusband (see Case 27). 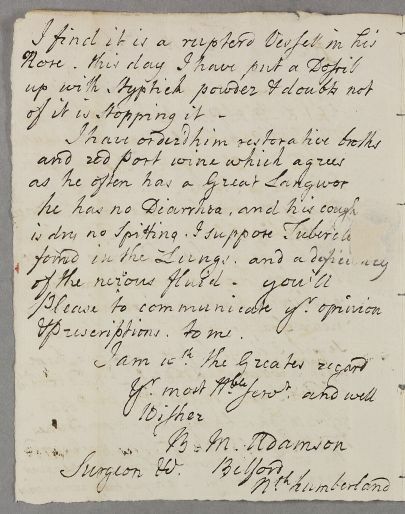 Case of George Davidson who is 'strongly threaten'd with a Consumption'. 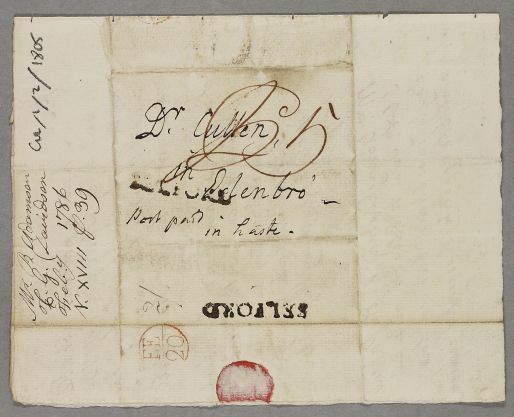 Case of an unnamed robust man who has gripes after catching cold but is unable to pay a fee. and bad appetite desires her respects. blood. I gave him Tinct. Rosar.